It’s not surprising that “positive” believers and doers can achieve high rates of success. Think about how compelled we are and how we gravitate towards positive people. Positive energy holds so much power that it’s been known to improve relationships, careers, and even your health. How we perceive life has a tremendous impact on what we draw into our lives. A positive outlook focuses on lighter and brighter. There is an expectation of positive results from well-intended efforts. Additionally, positivity breeds an attitude of being able to overcome obstacles and forge ahead towards meeting goals. Conversely, negative thoughts may draw more instances of ill feelings. Indifference can pervade, or a feeling of wanting to “give up” may take over. Perhaps that’s why negative people may appear to have bad luck or poor health. Remember: Be careful what you wish for because you just might get it. What Can Positive Thinking Do? According to Mayo Clinic research, one thing positive thinking does is help with stress management. If positivity can diminish stress, then think how successful your mental and physical health could be at work and in life. Stress causes harm to your body and mind. If a positive mindset reduces stress, then it follows suit that your physical and mental health will improve with the power of positive. There is a deluge of books and articles on the power of positivity. Some of them focus on using positive thoughts to manifest a healthier life. Some discuss the effects of positive living on work and relationships. Others make claims that a positive attitude encourages greater life satisfaction and inner peace. Barbara Fredrickson, an author and positive psychology researcher, discovered that positive thinking improves your work skills. John Hopkins University conducted a study on the health effects of positivity. The participants all had a family history of heart conditions. Those with a positive outlook had a one-third less chance of having a heart attack within 25 years than those who had a more negative perspective and attitude. Which End Is Up—Positive or Negative? Some experts (and laymen) believe people are with born with a positive or negative outlook and they remain that way. Then, there are some research pundits who believe that one can adopt a positive attitude and improve his/her mental and physical health by changing perspectives. And, as we’ve learned here, there are many others who believe we have the power to choose and control our positive thoughts, using their power enrich our lives inside and out. Feel free to comment and share on any of GetThrive’s social media platforms. We’d love to hear from you! Also, if you like what you’ve read, check out www.GetThrive.com for other articles on healthy living—and/or sign-up for the free, hottest newsletter delivering up-to-date health tips to members across the globe. 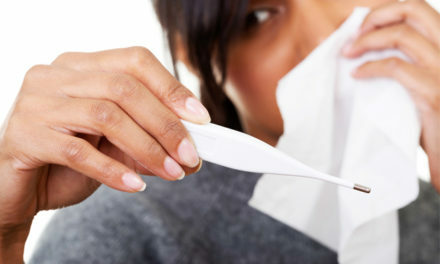 Is it a Cold or Flu and What Do I Do? Should Americans Have a Right to Health Care Choices?